Home Fun Facts Kinder Bueno Ice-Cream Now Exists! 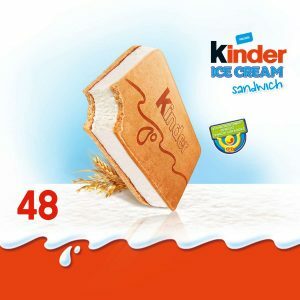 Kinder Bueno, with its smooth hazelnut cream wrapped in crispy wafer and layered with chocolate, has been a long-time favourite snack. A staple product as such hardly needs more marketing gimmicks, but the Ferrero company found a way to actually improve it. Brace yourselves, ladies and gentlemen, for Kinder Bueno ice-cream now exists! There will be three different types: an ice-cream sandwich, an ice-cream stick, and an ice-cream cone. What’s so special about it anyway? Technically speaking, there shouldn’t be much difference between the chocolate and the ice-cream. 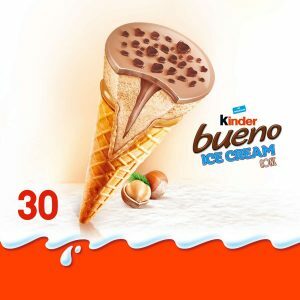 It’s another way for Kinder-lovers to enjoy the taste of the beloved Kinder Bueno, especially during hot weather when eating too much chocolate isn’t practical. If that doesn’t convince you, read the next sentence. That was taken from Langnese, the official website for the ice-cream, and probably the most beautiful sentence I’ve read in a while. I don’t know about you, but that makes me want to get some right now. Are they available in Malaysia yet? Unfortunately, no. There hasn’t been any news of whether it will be released in Malaysia yet. We can all hope and pray though. Or maybe sign a petition somewhere? Where are they available then? According to the Daily Star website, it will be launched in France, Germany, Austria and Switzerland this year. 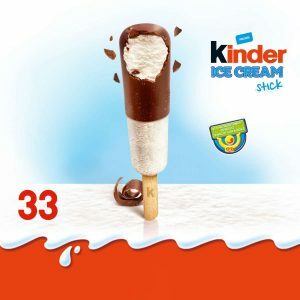 Currently, Kinder has no plans to expand their release outside of these European countries, although it will consider a more widespread released to meet consumers’ desires. If you have a planned trip to Europe in the near future, you’re in for a very sweet treat!